Pruning can be an unexpected way to get some physical and functional fitness as Suzanne Prevedalshared just a few days ago. Sometimes it is difficult to know where to begin when pruning fruit trees. Some cuts are more important to make than others. 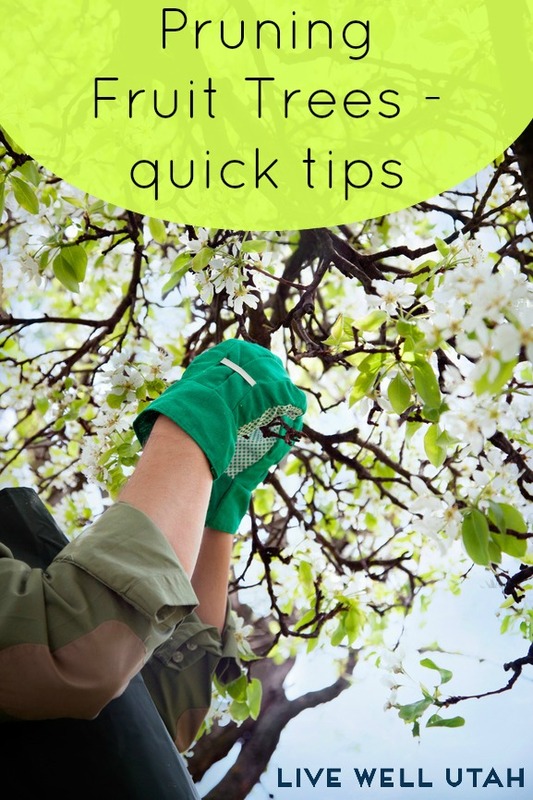 Here are quick tips for pruning fruit trees! (3) space wood to allow for adequate light penetration. Problems to address include removing diseased, broken or damaged branches, branches that are crossing or rubbing, or that form a narrow angle from the main scaffold. Old branches with long complex spurs should also be removed to make room for younger, more productive branches. Tree shape should be maintained through selective thinning cuts. Pay attention to branch orientation, remembering the “45-degree rule.” Branches that are too upright will remain vegetative, while pendant branches (below horizontal) are typically shaded and too weak to be very productive. Branch density is the final objective. Frequently evaluate branch density during pruning. Periodically take a step or two back to see what the tree shape looks like. Are dense masses of limbs present? Can light penetrate into the tree interior? Could you conceivably throw a baseball cap through the tree without it hitting a branch? You should be able to see through the tree when leaves are not present. Don’t just look through the tree from side to side. Also, look upward through the canopy. You should be able to see through the canopy this way as well. What sort of Fruit Trees do you have in your yard? Looking for more about pruning? The USU Extension site is full of information for you! Baby Animal Days – this weekend! Be more fuel efficient this Summer!